Machines and hardware for advertising technology | YOW! For the realization of your projects in the field of advertising technology and textile finishing YOW! 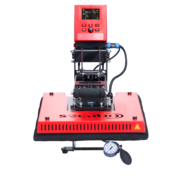 an important component of the work available, without which your idea would remain just an idea: the appropriate hardware for printing, cutting and engraving your end products. 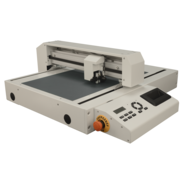 From engraving machines and label production to transfer presses, you will find all the hardware you need to carry out your plans in our online shop. You want to create individual buttons for advertising purposes? 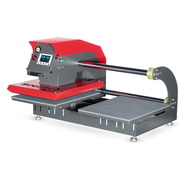 With our badge making machines this is no problem - we also supply you with additional tools and utensils, which you need for the production of the buttons. The original presentation character of the buttons is also a communicative option to present your company effectively. 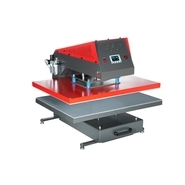 The Card Cutter, on the other hand, is perfect for every copy shop and print service provider. 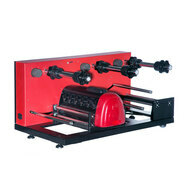 These card cutters make it easy and fast to produce business cards and other printed products in small to medium runs. 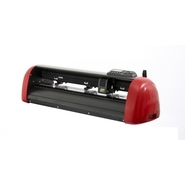 Of course we also offer spare parts for your hardware in this category. As you can see, there are hardly any wishes left unfulfilled! YOW! guarantees high-quality quality and the resulting stability and durability of all devices. 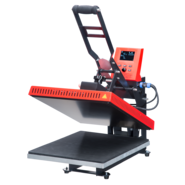 In this way, you can benefit from the functionality, productivity and practicality of this equipment for a long time to come. 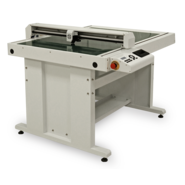 For example, we can supply you with "standing" cutting plotters that do not reduce the size of your working surface. These are a central component of many areas of advertising technology and textile finishing and cut monochrome self-adhesive films just as reliably as flock and flex films. Depending on the requirements, different versions are available, which also vary in price - so there is something for a wide range of applications. Also in transfer printing YOW! 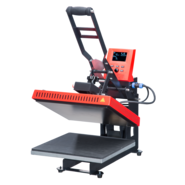 with a wide range of printing needs for the various printing techniques, such as sublimation or chrome stencil printing, and promises excellent print results in brilliant colours. 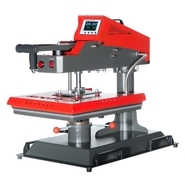 YOW also offers various types of first-class transfer presses, such as folding or oscillating presses as well as transfer presses especially for cups or caps. at fair prices. 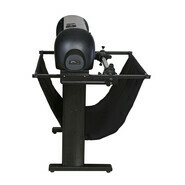 Take a look at the practical all-in-one packages, which can often save you money if you want to buy a machine and its accessories, for example. Browse now in our online shop and order your hardware from the field of advertising and creative technologies at YOW!